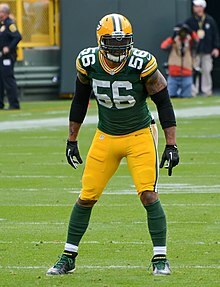 Julius Frazier Peppers (born January 18, 1980) is a retired American football defensive end. 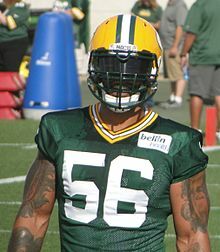 He played college football at North Carolina, where he was recognized as a unanimous All-American, and was drafted by the Carolina Panthers second overall in the 2002 NFL Draft, and also played for the Chicago Bears from 2010 through 2013 and the Green Bay Packers from 2014 to 2016. ^ Schad, Tom. 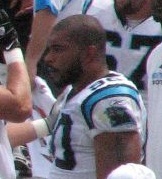 "Julius Peppers, likely Hall of Famer, announces retirement from NFL after 17 seasons". www.msn.com. USA Today Sports. Retrieved 1 February 2019.